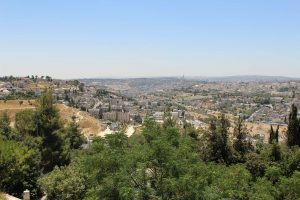 Gain musical inspiration while studying in Jerusalem, a center of historical, cultural, and religious significance. Expand your performance techniques and skills through participation in various ensembles ranging from classical music to modern or ethnic styles. Discover Klezmer music’s unique role in Jewish society, as well as perform traditional and contemporary repertoires. Receive individual instruction from Jerusalem Academy of Music and Dance faculty. 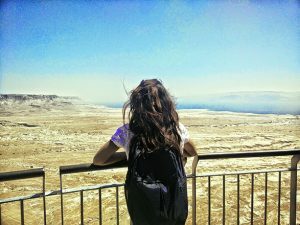 Immerse yourself in all aspects of Israeli life and culture. This joint initiative of the Jerusalem Academy of Music and Dance (JAMD) on the Edmund J. Safra Campus on Givat Ram and Hebrew University’s Rothberg International School (RIS) allows you to benefit from the expertise and support of two highly respected institutions. 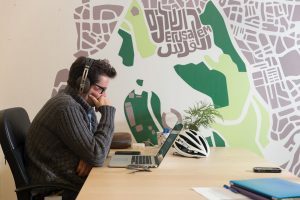 Our Jerusalem Sounds program provides you with unique musical training and rich inspiration in the heart of Jerusalem. JAMD’s courses, taught by top faculty and professional musicians, will help you develop your technique and performance skills from classical to modern or ethnic music. 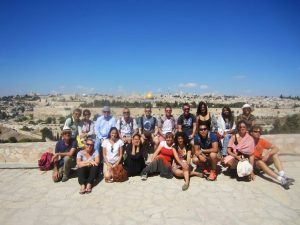 You will also explore Israel’s rich and vibrant culture through field trips, social activities, and courses on Hebrew language, Israel, and the Middle East. 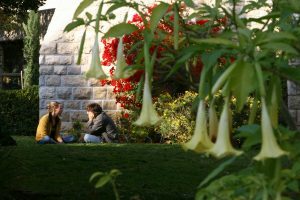 As a Jerusalem Sounds student at the JAMD, you’ll receive individual instruction, perform in small and large ensembles, and take courses in Jewish and Israeli music. 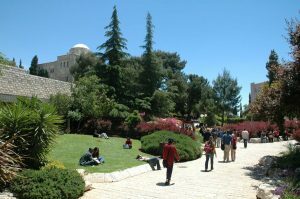 You’ll also take courses at HebrewU’s RIS in diverse areas such as Jewish, Israel, and Middle East studies; international relations; human rights; behavioral sciences; and Hebrew- and Arabic-language studies. You may study for a semester or a year. Israeli music, in both its classic and popular forms, has been shaped by many influences: popular music from Europe, North Africa, Yemen, and Iraq, as well as Arabic and European art music. The course surveys the application and expression of this rich diversity of styles and sources in Israeli art music. This course offers an overview of the various streams in Jewish art music as typified in the lives, scores, recordings, and videos of those who in the past and present have contributed to the continuation of this art form – composers, cantors, Yiddish singers, instrumentalists, and the various schools of music in Europe and America, known as die Goldene Medina. The course deals with various aspects of the modes (nusach) and their role in making this music uniquely Jewish. Instrumentalists and voice students will receive weekly individual instruction from JAMD faculty. *Course topics are subject to change. 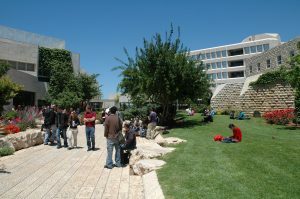 At Hebrew University’s RIS, you can take courses in diverse areas such as Jewish, Israel, and Middle East studies; psychology; economics; Modern Hebrew; Arabic; and more. 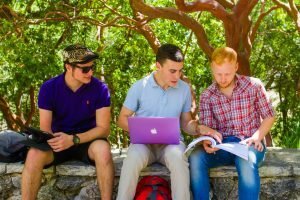 View the HebrewU course catalog and faculty list. 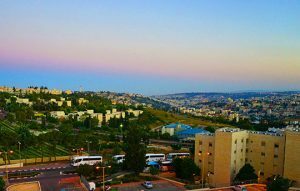 You’ll live on the Mount Scopus Campus with other international and Israeli students, giving you a chance to form new friendships and get involved in campus and Israeli life. 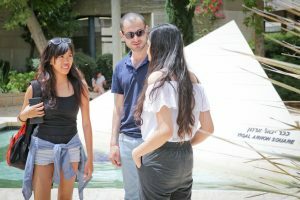 A team of multilingual Israeli students, called madrichim, are also here to help you adjust to your new surroundings – and give you tips on things to do. 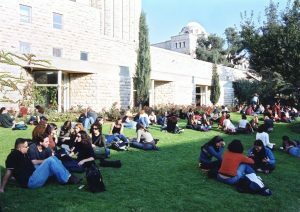 Learn more about student life at HebrewU. While studying at HebrewU, you’ll experience Jerusalem’s incredible mosaic of cultures, foods, religions, and people. Stroll through a lively street market or spend an evening with friends at a trendy nightclub. Immerse yourself in the lively arts and culture scene. 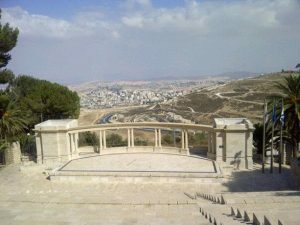 Jerusalem offers a wide range of symphonies, bands, and music venues – and an exciting lineup of music, dance, and art festivals throughout the year. 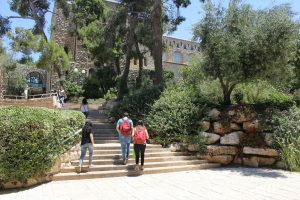 Creatives, scholars, entrepreneurs, scientists, and activists all flock to Jerusalem, making it an exciting place to study abroad. As you discover first-hand Jerusalem’s rich history and culture, you will gain another source of inspiration for your art. Learn more about Jerusalem and start planning your adventure. View our Academic Calendar for registration dates and more. A limited number of scholarships, based on demonstrated need or merit, are available. Please follow the procedure required by your local office. You are eligible to apply if you are a music major, studying instruments, voice, composition, or conducting, who has completed 28 credits with a minimum grade point average (GPA) of 3.0 (B) and above (or equivalent). As part of your application, you must prepare a 20-minute audition video. The video must be current and contain at least three styles of music. Upload the video to YouTube and forward the link to the Division of Undergraduate Studies by email. Applications will be jointly reviewed by HebrewU’s RIS and JAMD. 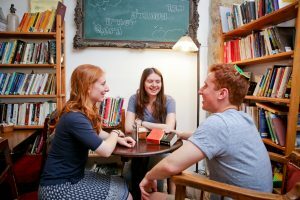 If you are from a non-English-speaking country and have not previously studied at an institution of higher education where the language of instruction is English, you are required to take an English proficiency test. A minimum TOEFL score of 89 on the internet-based test is required. The school code for TOEFL is 0206. Equivalent Cambridge or IELTS scores are also acceptable.